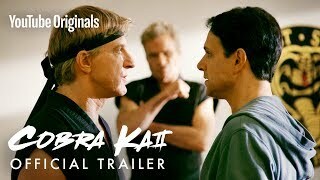 In the aftermath of Cobra Kai’s win at the Under 18 All Valley Karate Championships, Johnny questions his dojo’s philosophy and deals with a figure from his past. 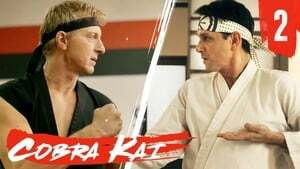 Daniel searches for the right way to respond to Cobra Kai’s dominance. 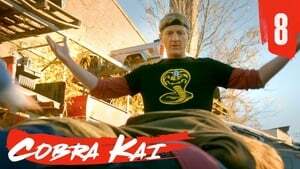 Daniel pulls out all the stops in an effort to recruit new students to Miyagi Do. Johnny reflects on some of the major relationships in his life - and responds to Daniel’s promotional efforts with his own. Daniel makes another attempt to promote Miyagi Do, and receives guidance in a familiar form. Johnny grows suspicious about Kreese’s backstory. 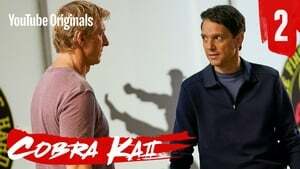 A new Cobra Kai student challenges Miguel and befriends Aisha, while Robby revisits a past he’d rather forget. Johnny cautiously takes a stab at love, while Daniel and Amanda enjoy a romantic date night. 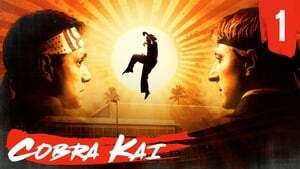 An attempt to bring the students of the two dojos together backfires as hostilities between the teens escalate. It’s the first day of school at West Valley High but tensions between the two dojos have not cooled with the end of summer. And the rivalry between Daniel and Johnny comes to a head. 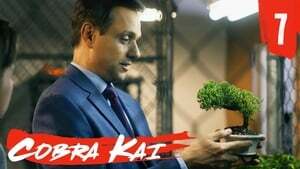 Present day Daniel LaRusso lives a charmed life. 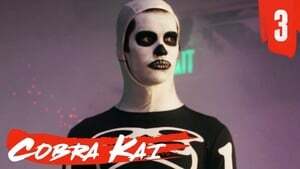 That is, until he sees that the Cobra Kai dojo, the source of his teenage angst and rivalry, has been reestablished by Johnny Lawrence. 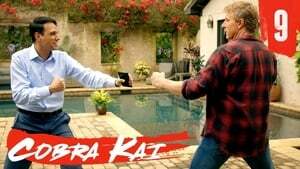 Struggling to launch the business, Johnny starts teaching karate to his teenage neighbor Miguel. Daniel faces his former opponent and old offenses are quickly reignited. Johnny tries to recruit more students to join the dojo. Troubled by his daughter’s friends, Daniel chaperones her high school costume dance. Johnny takes Miguel’s training seriously and starts creating a badass. When Daniel’s car dealership billboard is sprayed with lewd graffiti, it consumes Daniel and escalates tensions against a rival. Robby, Johnny’s delinquent son, is embarrassed about his father and his new dojo. 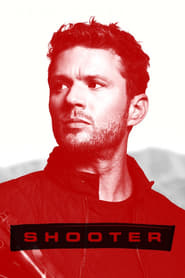 The bullying escalates against Miguel and motivates Johnny in a surprising way. Daniel tries to strike a shady deal to undermine Johnny’s dojo. Meanwhile, Johnny expands his enrollment ranks in the dojo. 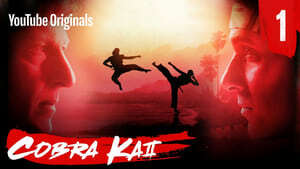 Miguel puts his karate practice into reality as Samantha faces rejection in school. Johnny’s dojo class attracts a group of misfits while his son Robby, who harbors ulterior motives, lands a new job. Samantha makes a new friend in science class. 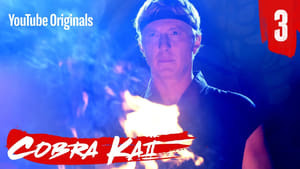 Daniel inspires interest in karate from an unlikely person. 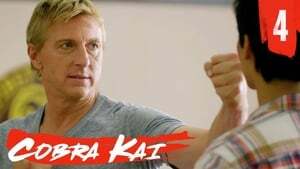 Johnny prepares his Cobra Kai students for the next All Valley Karate Tournament and in turn, he is inspired to clean up his life. Daniel is still unaware of his new pupil’s background. But as events unfold, it seems nothing has changed between Daniel and Johnny in 30 years.